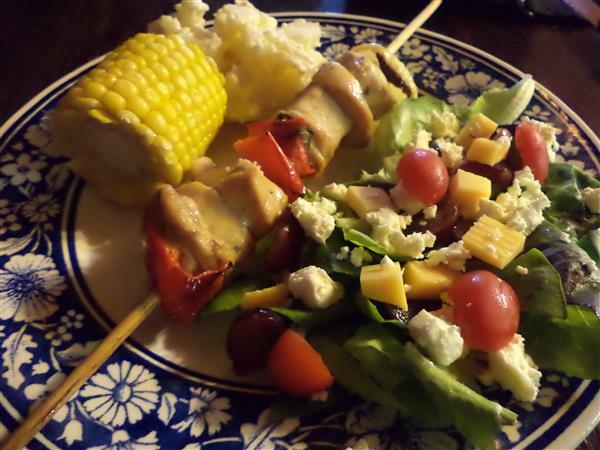 Aaaaahhh….. sosaties is a wonderful invention. What can be easier than taking meat, cubing it and putting it on a stick… Only work that goes into it is the marinade (and that is very fast) and off you go. We decided to have sosaties last week but it was a bit wet outside, so instead of having a braai (BBQ) as usual, I decided to make the sosaties and grill them in the oven. Mix everything together and add the chicken, peppers and onions. Let it marinade for at least 2 hours, longer if you have time. Remember to soak the sticks you are going to use in water beforehand, it stops the sticks from burning too much. 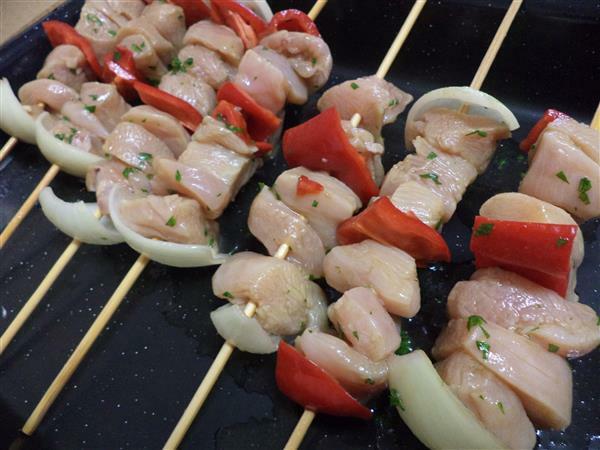 Place the chicken, peppers and onions on the sticks and grill in the oven. It doesn’t take too long. I heated the oven to 180 degrees Celcius.